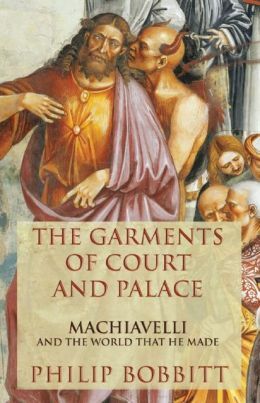 Niccolò Machiavelli (1469-1527) has always had an ambiguous place in the western canon. The political philosopher Leo Strauss memorably described him as a “teacher of evil”, an assessment in harmony with the popular view that has made his name a shorthand for unscrupulous calculation. And yet Machiavelli has also been seen by scholars in the tradition of JGA Pocock as a crucial theoretician of classical republicanism – one who, particularly in his Discourses on the First Ten Books of Livy, greatly influenced the “mixed regime” of separated powers that underlies the American constitution. In The Garments of Court and Palace, Philip Bobbitt places himself squarely in the latter camp. Bobbit, a constitutional lawyer, former US government official and author of the well-received The Shield of Achilles (2002), about the rise of the modern state and international law, has written a short, lucid book designed to introduce general readers to the Florentine thinker’s work. It serves its purposes well, giving valuable historical context and countering some common negative assumptions. However, his Machiavelli has been made so palatable to modern constitutionalism as to be largely unrecognisable, shorn of those hard edges that make this philosopher truly interesting. The bad reputation that Bobbitt seeks to improve began with the Huguenot essayist Innocent Gentillet, whose critical digest of alleged Machiavelli maxims did much to shape perceptions. Bobbitt, by contrast, celebrates Machiavelli as the originator of some distinctly modern ideas. He was the first, for example, to recognise and welcome the emergence of the modern state, one that was based on enduring impersonal institutions rather than personal feudal relationships, and a citizen militia rather than hired mercenaries.